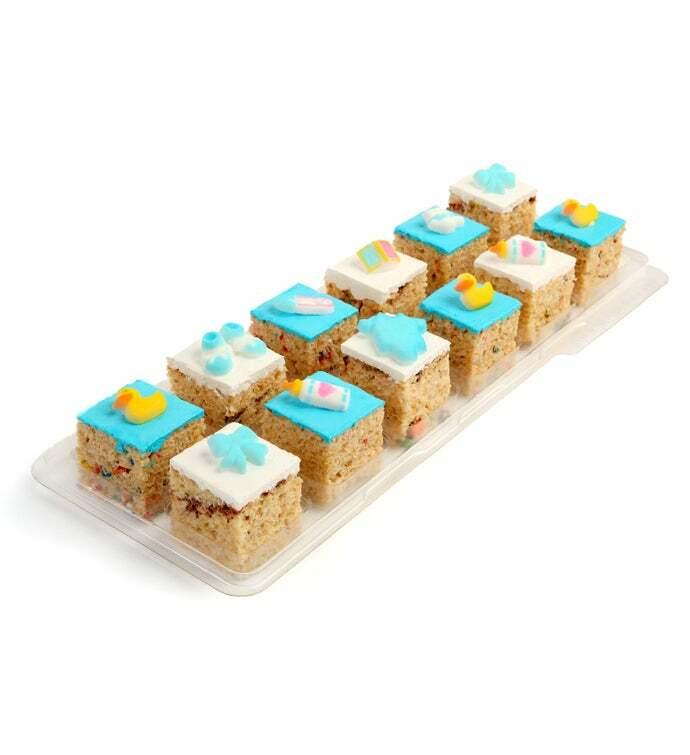 Assortment of gourmet mini Rice Krispie treats with adorable baby shower garnishes. Treat flavors include bubble gum, M&M, cotton candy, cookies & cream, and sugar cookie. 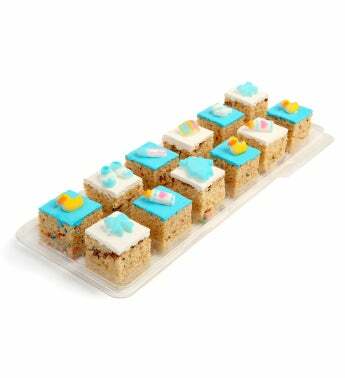 These adorable Rice Krispie Treats make a great dessert for a baby shower!